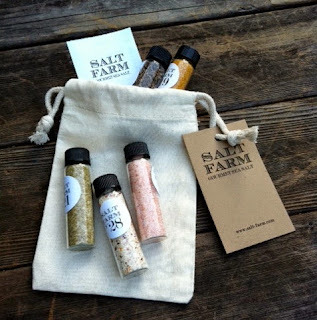 Salt Farm | Sea Salt San Diego: Can you believe the holidays are already here??? ***ORDER BY 12/20/17 FOR CHRISTMAS DELIVERY! 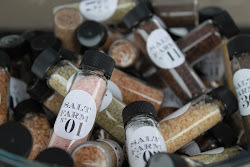 *** Salt Farm Gourmet Sea Salts are sourced from around the world, infusions and blends are made using the finest ingredients. Consider these for your foodie friends, hostess gifts, gift exchanges, Christmas gifts, holidays, Mother's Day, Father's Day, birthdays, house warmings, or any occasion. The perfect unique gift for the "hard to shop for," the foodie or chef, the hostess, and stocking stuffers! Can you believe the holidays are already here??? Well, they sure snuck up on me! But, we're in full swing here, getting ready to fill orders. 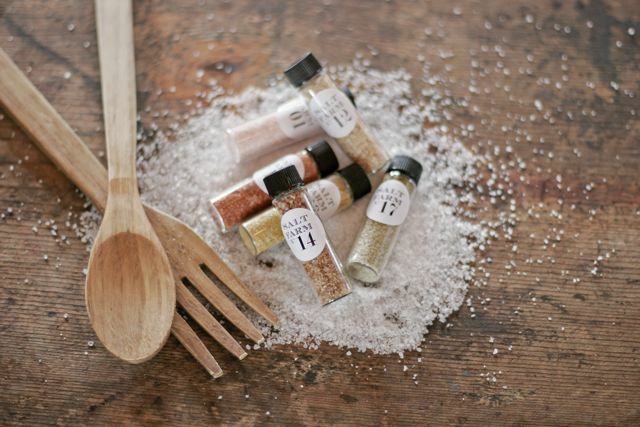 Our Salt Samplers make wonderful hostess gifts, stocking stuffers, perfect for your favorite foodie, and holiday gift exchanges! You can visit us locally in San Diego at the Little Italy Mercato or Hillcrest Farmers' Markets, or shop online at saltfarm.etsy.com. You can also see our Locations page for retailers that carry small selections as well. I attended an amazing event here this past weekend. I have nothing but positive things to say about the event planning team at this place. The food and service were spectacular. This was intended to be the year where the British would spend it in the UK and break the pattern to travel to another country as an absolute necessity. Spending your occasions abroad can be fun, however it can likewise be an exorbitant issue. Can't visit us at a farmers' market? Then shop online at saltfarm.etsy.com.